A lady came into my life over twenty years ago, three acts of kindness this past week reminded me of her. I wish I had a scanned photo of Mrs. Cliff but I don’t, if anyone from Bangor does please can you send it to me. 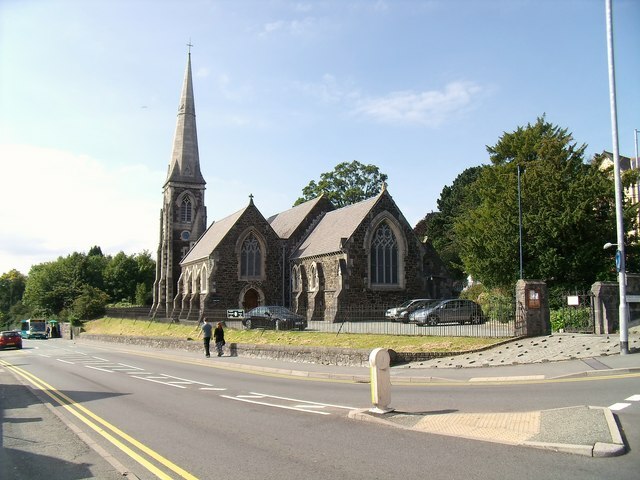 Instead here is a picture of St. Jame’s Church in Bangor, the place where I met Mrs. Cliff and where I made the conscious decision to return to the Anglican Communion and ultimately the community that lit the fire under my vocational calling. Mrs. cliff. It is many years since you passed away but your influence on me has never been forgotten. Mrs. Cliff was generous in spirit, overflowing in her hospitality, unbelievable in her support and steadfast in her faith. A ninety year old lady who welcomed a young student into her life, showing interest, telling stories, feeding me (I was a student! ), showing me love, and accepting me as I walked on the path of self discovery as a Christian, a gay man, a young man and an unsure pilgrim. I remember her wise words, her stories, her support of me spending time with the Mar Thoma Church in India, her advice and most of all her friendship. She often would say to me “I do not buy my friendship, I offer it freely”. I may not show this but at times I get very worried. My life is so busy, I am worried because I am a terrible friend. In the past year there are people who I should have called, letters I should have written, beers I should have drank. But life gets in the way. That is no excuse. Maybe a lent discipline for me should have been to contact 40 friends who I have neglected. This past week, I was honored to experience at least three acts of friendship. On Sunday we had dinner with two good friends from church. We had not been to their house before even though they had been there for about a year. After a tasty dinner and catching up we took a walk around the neighborhood. The four of us chatting, looking at houses, enjoying the place and the moment. Thank you Matthew and Michelle. On Wednesday, I left work early (for me) and drove to San Diego State University to spend time with Patrick Walders, who had taken the School for Ministry Postulants and Auditors for a singing lesson last Saturday. During our lesson I had said that I was due to lead Stations of the Cross on Friday night at the Cathedral and that I was scared about leading the singing part of the service. Patrick insisted that I come and spend extra time with him to help me get over my nerves. Patrick is a wonderful teacher and has a personality that makes you want to better yourself. He could have taught the lesson the previous Saturday and sailed off into the sunset. Instead he took the time to help me in the midst of his own busy schedule. All of this makes me think. How lucky I am to have friends who really care and who freely give their friendship. Friendship does not need to be fancy or complicated. Friendship is eternal. Mrs. Cliff, I felt your hand grab me this morning as we were praying in church just like you always did many years ago. Matthew, Michelle, Randy and Patrick – thank you for touching my life with your friendship this week. To everyone in-between, in the past and in the future I pray that I will be a good friend to each and every one of you. You have made my day. I also remember Mrs. Cliff talking about you with such love and affection. If you had a photo scanned I would love to see it. I hope all is well with you.